School of Sign Language interpreters have helped my work colleagues to visualise my needs visualise my needs. The School of Sign Language offer a variety of different services and training. 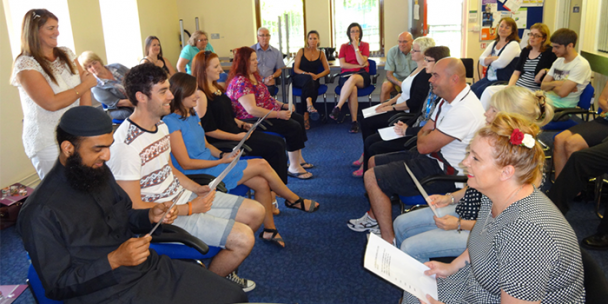 Our experienced staff of BSL interpreters, tutors and communication support workers provide language support in a number of settings including, workplace, education, hospitals/medical appointments and more as well as delivering courses to a range of different people, organisations and groups. To find out more information click on the links below. You can also contact us for more information.